Outside: Our goal is to assist you in your weight loss with respect and dignity. 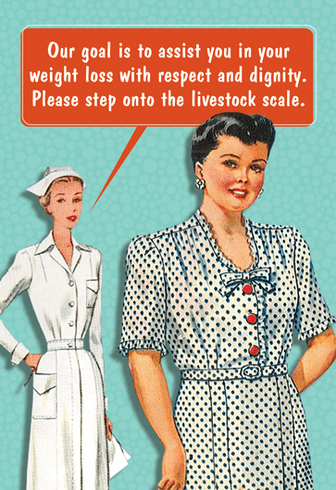 Please step onto the livestock scale. Inside: I couldn't weight to wish you a Happy Birthday!